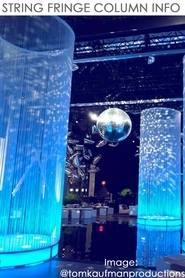 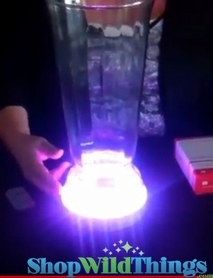 Our spectacular Diamond Crystal Columns are a favorite with our event planners and even creative home Decorators! Ranging in length from 9 Feet Long and on up to 20 Feet Long, we have tons in stock and ready to ship to you! 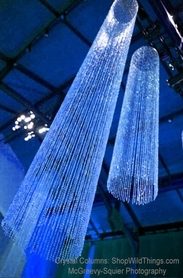 These beautiful sparkling crystal columns are available in with either round or square tops.